– And 12 “were not aware that sexual stimulation was mandatory to achieve an erection” – in other words, they popped a pill and waited for an erection to just show up! The investigators found with dose adjustments and better information, many of the men were able to get good results with Viagra. Full study citation: Hatzichriston D, et al. Sildenafil failures may be due to inadequate patient instructions and follow-up: a study on 100 non-responders. Eur Urol. 2005;47:518-522. What Causes ED? 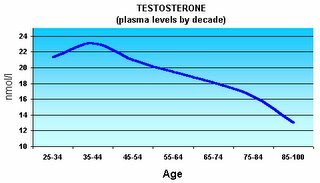 Low Testosterone? A recent study (2003) found that men with testosterone levels in the low-normal range who do not respond to Viagra have a good response when they take Viagra combined with testosterone-raising treatments. 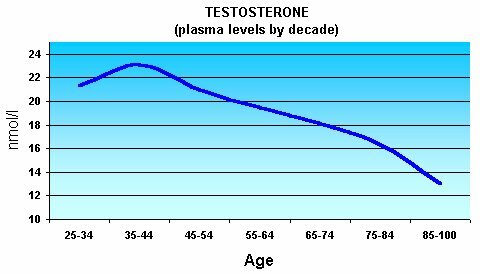 This would suggest that the slow but steady decline in testosterone in men contributes to the decrease in sexual function, and that drugs and herbs that increase testosterone should be taken with Viagra for optimal sexual funtion. Here is the link to the study – (LINK HERE). In case the link doesn’t work for you, here is the study information: Aversa A, Isidori AM, Spera G, Lenzi A, Fabbri A. Androgens improve cavernous vasodilation and response to sildenafil in patients with erectile dysfunction. Clin Endocrinol (Oxf). 2003 May;58(5):632-8.